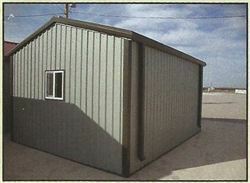 All of our steel buildings come standard with vertical roofs. 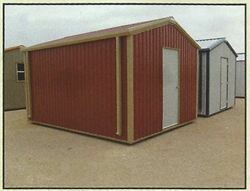 They also have optional vertical siding and ends. We offer them in both a 14 or 12 gauge framing. 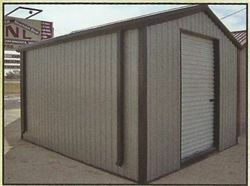 WE OFFER RENT-TO-OWN FINANCING WITHOUT A CREDIT CHECK ON ALL BUILDINGS UP TO $10,000. Bad Credit? Not A Problem! FINANCING UP TO $15,000 IS AVAILABLE WITH NO CREDIT CHECK! 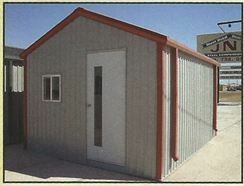 Affordable Portables services the entire state of New Mexico and can custom-design buildings, to meet your needs. 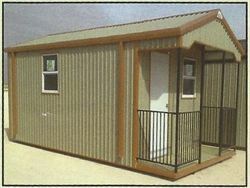 You should expect to receive your building, typically in 2 weeks, but up to 4 weeks depending on your location!